Three persons have petitioned the CID of the Ghana Police Service to commence criminal investigation into allegation of “forgery against Dr Mahamudu Bawumia” and two other New Patriotic Party (NPP) stalwarts. The other two are NPP Director of Elections Martin Adjei Mensah Korsah and the party’s 2016 campaign manager, Peter Mac Manu.The three petitioners are Amos B. K. Amorse, Victus Avevor, and Dzifa Gunu. 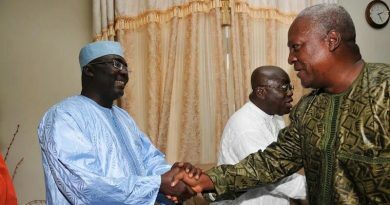 “This has become necessary following the EC’s admission in a report dated December 30, 2015, which states, inter alia, that the EC of Togo denied ever giving out its voters’ register to a “third party”; a register Dr Bawumia and his cohorts, in a petition to the EC dated August 18, 2015, said it used to identify over 76,000 Togolese on Ghana’s voter roll,” the petition read. 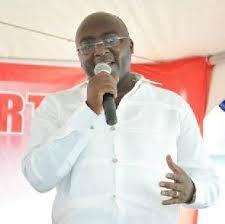 The ruling National Democratic Congress (NDC) has also accused Bawumia of falsifying public document and must be arrested. We, the undersigned, wish to petition your esteem outfit to commence criminal investigation into a manifesting case of forgery against the 2016 vice presidential candidate of the New Patriotic Party, Dr Mahamudu Bawumia; NPP Director of Elections, Martin Adjei Mensah Korsah; and NPP’s 2016 Campaign Manager, Peter Mac Manu. This has become necessary following the EC’s admission in a report dated December 30, 2015, which states, inter alia, that the EC of Togo denied ever giving out its voters’ register to a “third party”; a register Dr Bawumia and his cohorts, in a petition to the EC dated August 18, 2015, said it used to identify over 76,000 Togolese on Ghana’s voter roll. 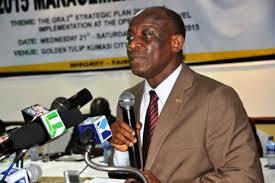 To consolidate their intention to deceive the EC, Peter Mac Manu, also mounted a podium at a two day forum (which was telecast on public television) organized by the EC at Alisa Hotel to repeat the same allegations based on the forged Togo register and strongly advocated for a new register. It is trite law that the Togo Electoral Code (Code Electoral) does not permit the EC of Togo to share its register (a sovereign legal document) with a “third party” for which reason it declined to share same with Ghana’s EC even on official request. It is our case that the supposed Togo register Dr Bawumia and his colleagues based their claims and subsequently submittedto the EC was forged and/or obtained by fraud with the intention to deceive the EC to yield to the NPP’s demand for a new voters’ register. The essential elements of this offence under sections 158 and 164 (1) was summed up by Lord Radcliffe and Lord Denning in Welham V DPP  2WLR 669, as follows: “intent to deceive would be sufficient for purpose of establishing forgery when the act complained of was done to deceive public authorities since the advantage to the offender might be the same even though no loss was occasioned to the person deceived. 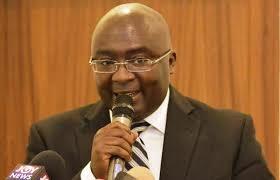 In the Ghanaian case of Okyere & Anor v The Republic  2 GLR 412, forgery was defined as to “make or alter a document, with intent that it would be accepted as genuine, knowing that someone is likely to act upon it to the prejudice someone else.” We verily believe that was the exact intent of Dr Bawumia, Martin Adjei Mensah Korsah and Peter Mac Manu when they presented the purported Togo register to the EC. We have attached to this petition a copy of the EC’s report, Dr Bawumia’s press statement, a copy of the supposed Togo Register, copy of the Electoral Code of Togo (in French) and other relevant media reports revealing the complicity of the three NPP officials.